Leasing can be highly beneficial for your flying school! First, the maintenance is sorted for you, as we ensure our aircraft are in top condition at all times. If, rarely, there is an inter-50hr issue, we fix it promptly. 99% of the time there are no issues and the regular maintenance checks are done swiftly so you can keep earning. Second, our rates for leasing light aircraft are competitive enough to allow you to make a good profit. We work on a flexible leasing structure that brings many benefits to our customers, and gives you exclusive use of the aircraft. 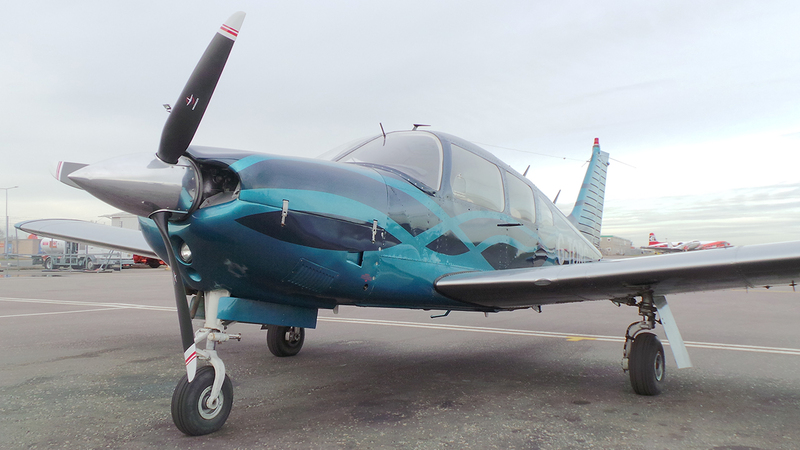 Our amazing Piper Arrow G-TORC has now been fully reconditioned! Available on short-term lease from £80 per flying hour (equivalent of £67 Tacho). Also: Aerobatic usage available for G-BLWY on short-term usage. Prices on request.